We were lucky to catch a ferry from Wellington to Picton, because one of the four ferries plying the crossing had lost a propeller a week previously. This had thrown an extra load on the other ferries, and we were first told we couldn’t get a booking for several days. So we took our chances and went standby and were successful, though we didn’t know for sure till 5 minutes before the sailing. 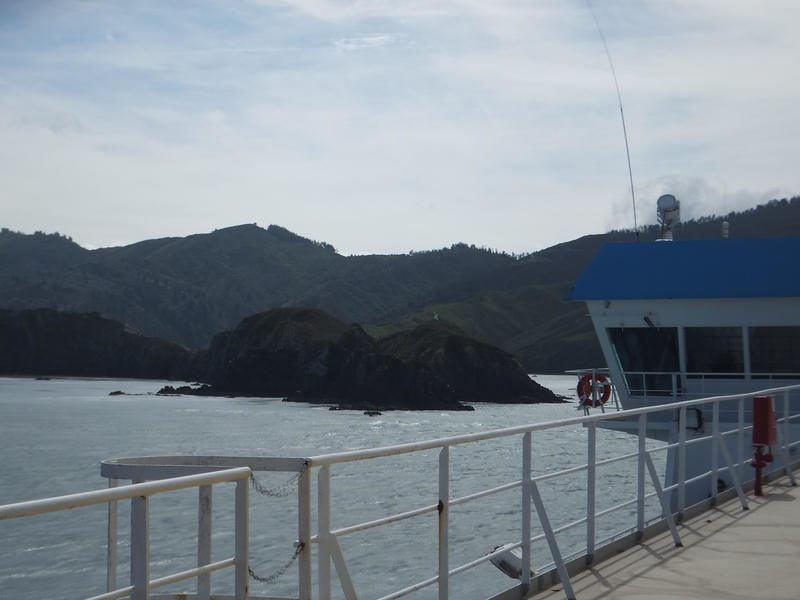 The crossing through the Cook Strait was both very windy and very impressive, with sunshine most of the time. The entry to Picton harbour passes for many miles through the Queen Charlotte Sound with green hills and mountains on both sides. 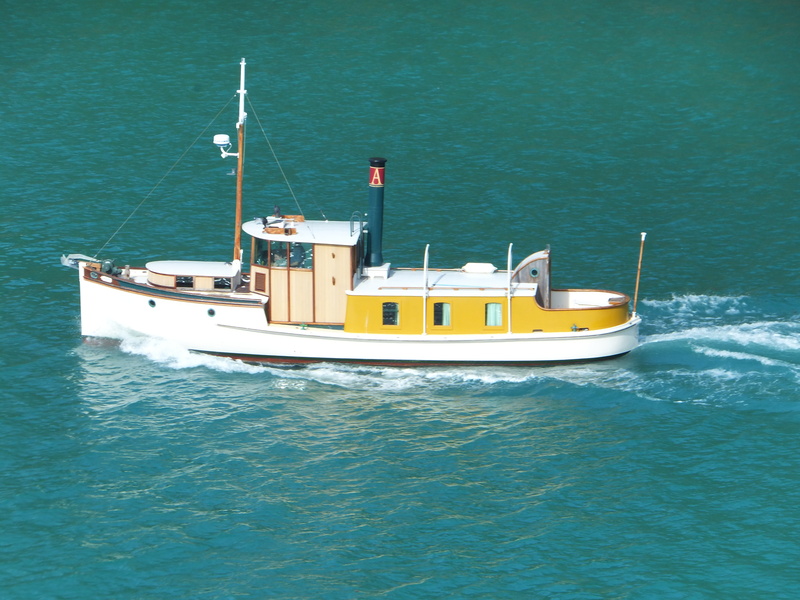 We passed this elegant old motor boat on our way in. We saw lots of Fluttering Shearwaters on the water or flying low over the surface, as well as Australasian Gannets. Katharine saw a couple of dorsal fins – probably Dusky Dolphins. From Picton we drove down the east coast south to Kaikura where we stayed the night in a motel looking straight out over the sea. 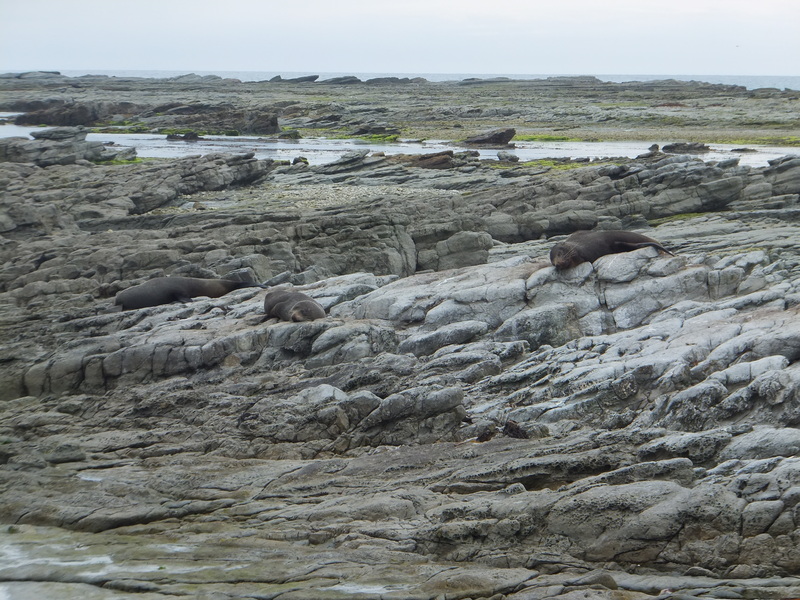 This place is noted for whale watching, fur seals and albatrosses, but we saw only seals on our walk out to the headland. Even with binoculars it was sometimes difficult to work out which were rocks and which seals. How many can you spot in this photo? We also saw several Variable Oystercatchers, as well as Black, Little and Spotted Shag, and Black-billed Gulls. 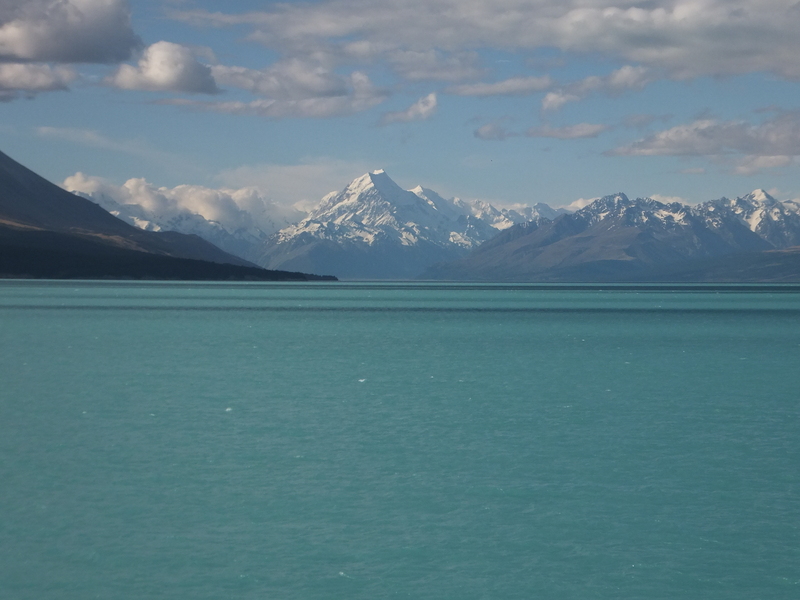 We drove from Kaikura to our next stop in Twizel just south of Lake Pukaki via Lake Tekapo. The waters of both lakes are a stunning, and unusual deep turquoise. This is caused by small particles of minerals brought down from the mountains. 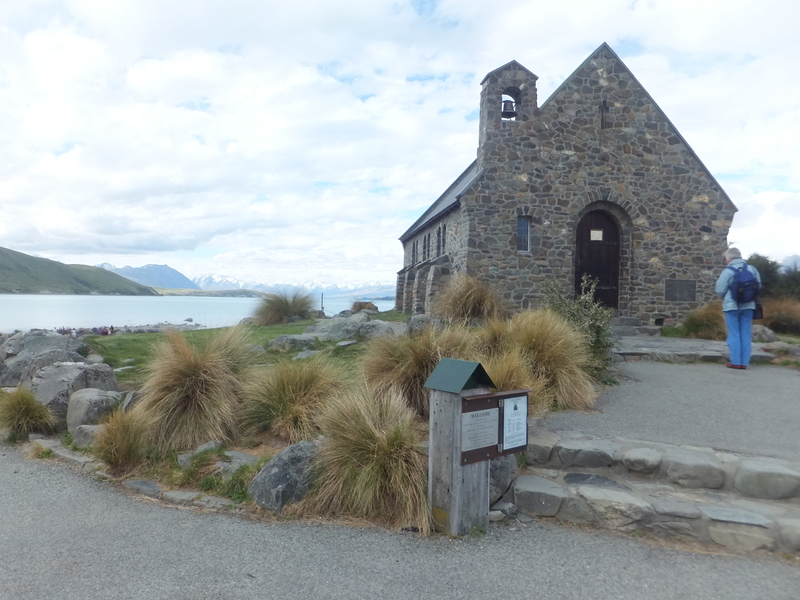 At the southern end of Lake Tekapo we found a small church erected by settlers in the 1930s, known as the Church of the Good Shepherd. Nearby is a statue of a collie dog, a tribute to the sheepdogs that helped develop the MacKenzie Country. Everywhere along the roadside are beautiful, many-coloured Russell lupins – which are unfortunately a noxious weed here as they are introduced and both provide cover for predators of native birds and crowd out local plants. The following day was hot and sunny, and we drove up the 50km from Twizel to the Mount Cook area, where there is a large visitor centre with information about various sights and walks you can do at the base of the mountains. 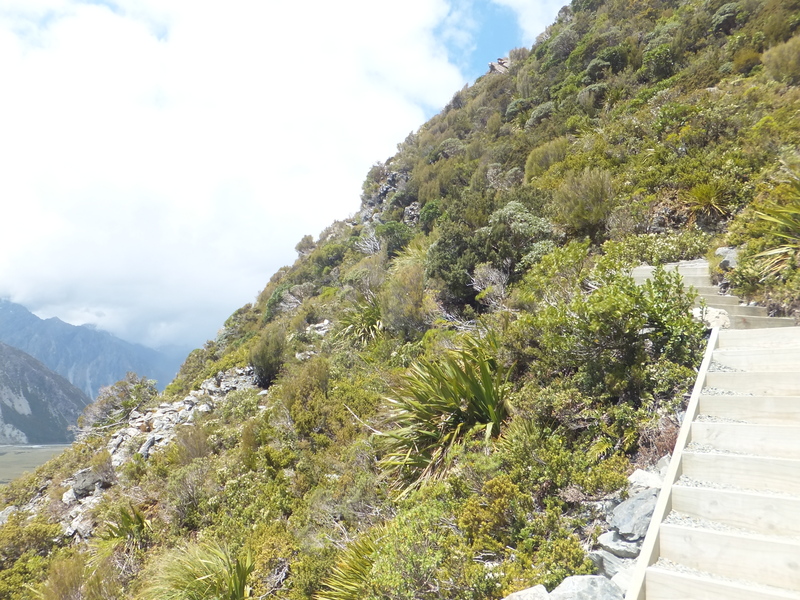 We climbed around 2000 feet through the forest on the mountainside, which had many attractive plants, such as the Mount Cook buttercup, a kind of lily, and several alpines, as well as a few birds of interest. We may have seen a Kea – mountain parrot – and certainly saw several New Zealand Falcons. The most common bird appeared to be the European Chaffinch, and we also got a good view of some Lesser Redpolls. Katharine was delighted to spot a pair of tiny Rock Wrens. Richard was in his element on the climb, but Katharine found it pretty gruelling, especially as we then climbed up to get a view of the Tasman Glacier. We left Twizel the next morning, after a visit to the Black Stilt sanctuary (see photo in nature blog, to follow). 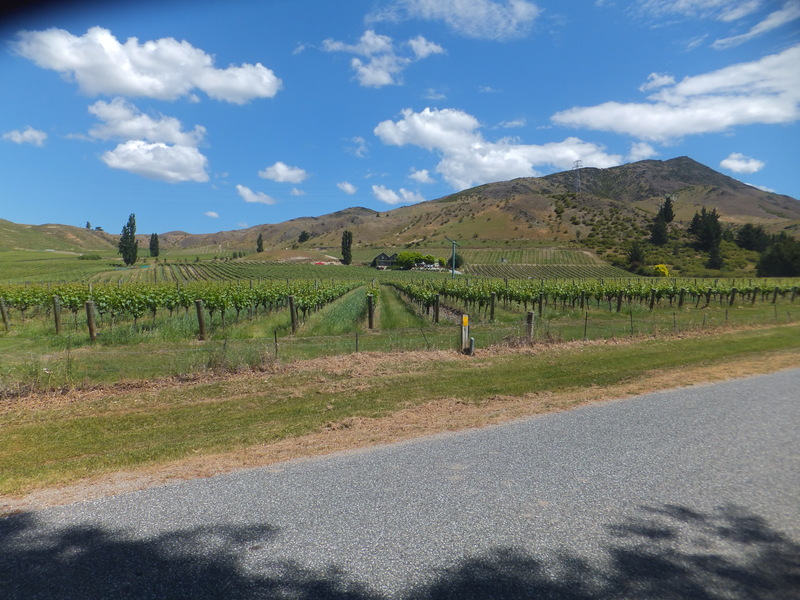 Our next step was to find the small hamlet of Bannockburn in Central Otago. This journey took us winding through the mountains until we arrived at Lake Dunstan. Here Katharine and her parents once lived as her father taught in the school. Bannockburn is a pretty little village; the school is now used for school camps. Staff were happy for us to wander round and take photos. 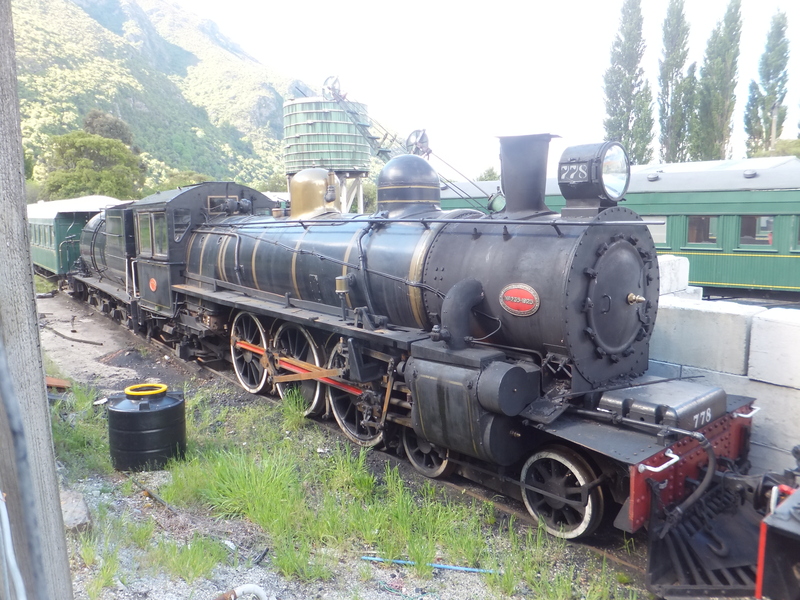 We then travelled further south past Queenstown, and stopped for a while in the small village of Kingston at the end of Lake Wakatipu to look at the old railway preservation society. 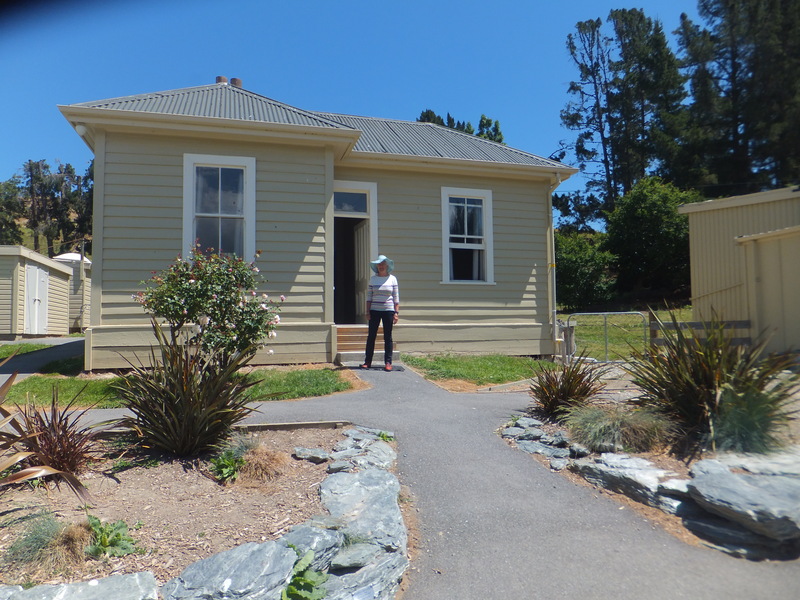 Finally we arrived at Sue’s in Te Anau – more on that next….